For reference, I am using Snow Leopard, 10.6.8, on a Macbook Pro. I don’t use external speakers, just the normal built in ones. Strangely, I could control the volume perfectly using the System Preferences sound controls. So clearly the volume was not broken. As far as I can tell this problem only occurs when use headphones or my graphics tablet. 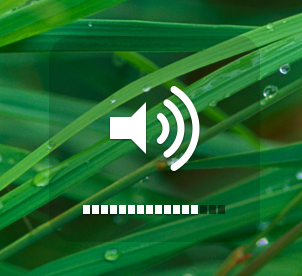 I’m no expert but I think my poor Mac just gets confused about how it should allow the volume to be controlled. For example, when I used my headphones to listen to music in iTunes I had all the above symptoms BUT for some reason I could still use iTunes to control the volume (as well as being able to control the volume using System Preferences. This is how I solve the problem when it occurs. A lot of this may not be relevant but I’ll include it all as I’m not sure which bits are key to the solution. I use my built-in speakers and use the audio port for Sound Output. Step 3. 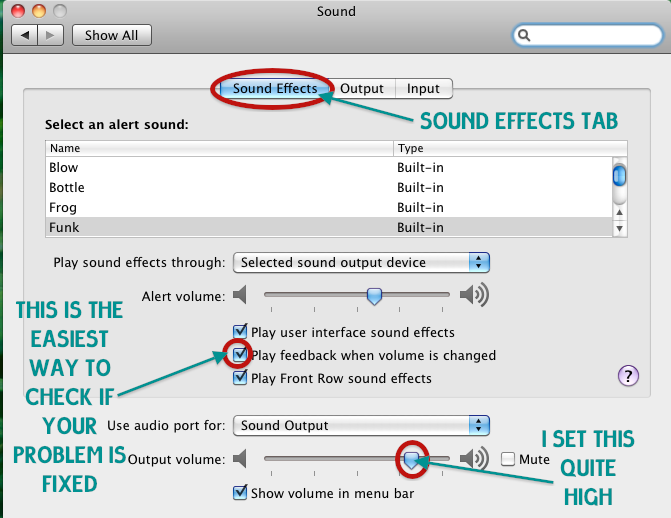 This step is not technically necessary, but in case it affects anything these are my settings on my Sound Effects tab. I always set my master volume quite high and and make sure the Play feedback when volume is changed is ticked. 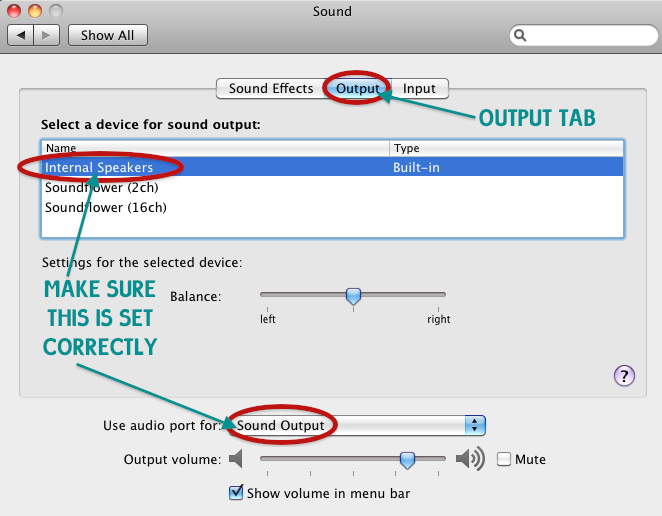 This makes sure that when you reboot you can hear if your volume problem is fixed or not. Step 4. Remove any USBs or headphones you may have connected. Step 5. Restart your Mac. Step 6. 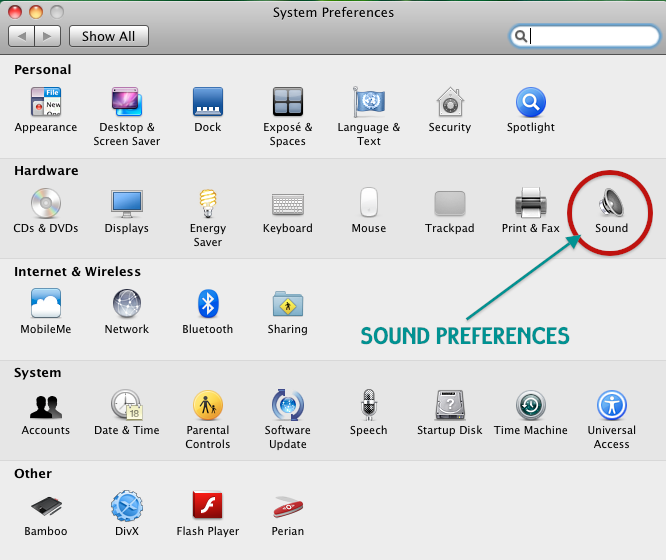 Sign in as Admin and check your settings for Sound in System Preferences, and whether the volume controls (keys, menu bar etc.) are working properly. If they are all OK then you should find that they are also working properly in all the other user accounts.